Being a strong leader means more than just having a willingness to take on a project or organization. Today’s workforce requires skills and techniques that involve critical thinking, strategy, and communication. Embry-Riddle Worldwide offers an M.S. in Leadership degree program that prepares students to be mindful, passionate leaders who make a difference. The M.S. in Leadership degree program at ERAU has an excellent reputation. Through a unique blend of leadership theory and concepts, core knowledge, skills and competencies, and tools and techniques, the program prepares students to lead with confidence. During their studies, students get unlimited opportunities to do research in the aviation and aerospace industries with groups like the Center for Aviation and Aerospace Leadership (CAAL). An experimental elective course allows students from the College of Business to engage with other disciplines and travel to China to learn firsthand about international business, education, and government. With students from different locations and backgrounds, the M.S. in Leadership program at Embry-Riddle Worldwide promotes diversity and teaches effective leadership techniques for use in global business and operations. Many companies may look the same from the outside. But on the inside, there are dramatic differences in culture and performance. And where it all begins is with strong leadership. Great leaders develop high-performing teams that consistently outperform the competition. Good leadership is not a fluke. Good leaders are systematically developed. The M.S. in Leadership program at ERAU’s Worldwide & Online Campus helps students develop the skills, knowledge, and competencies that make effective leaders who stand out. Not only will their studies prepare them for today’s most challenging leadership roles, graduates will also be positioned as valued decision-makers of tomorrow. 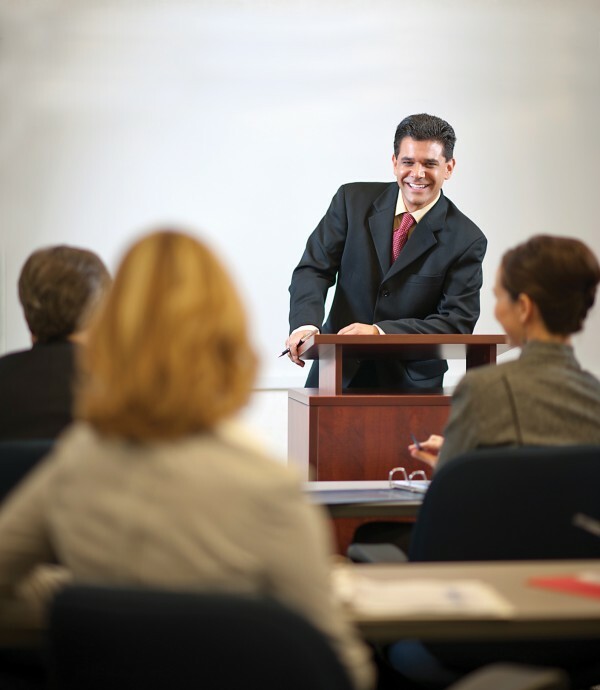 Taught by faculty members who have terminal degrees and are experts in the field. Representing a wide variety of academic disciplines, they’ve demonstrated a range of university/college-level teaching experience and history of leadership in academia and the private or public sectors. ERAU’s Worldwide & Online Campus is designed to accommodate students who need to stay close to home to pursue a degree. Students can take this entire program online and complete course work as it fits into their schedules. Worldwide & Online Campus students benefit from being part of the ERAU family and are granted access to expert faculty, fellow students, and alumni with whom they can share experiences and network. Many companies look the same from the outside, but on the inside there are dramatic differences in culture and performance. It all starts with leadership. Good leaders develop high-performing teams that consistently outperform their competition. These teams capitalize on their strengths, draw inspiration from diversity, and hold each other accountable to achieving their mission. Good leadership is not a fluke. Good leaders are systematically developed. The Master of Science in Leadership degree helps students develop the competencies that are essential for leading an organization effectively. Inspire the best from those around you. Communicate powerfully and develop additional sources of influence. Understand your leadership capacities and minimize your blind spots. Coach and mentor others to achieve their potential. Analyze and diagnose organizational issues that impact your team’s performance. Anticipate the need for organizational change and renewal. Establish and foster a high-performing culture across your organization. In today's workplace, leaders face a divergent convergence when contrasting cultures or generations meet. To foster an atmosphere that promotes collaboration, trust and respect, leaders must recognize and understand these differences and be willing to adjust their leadership style when necessary.